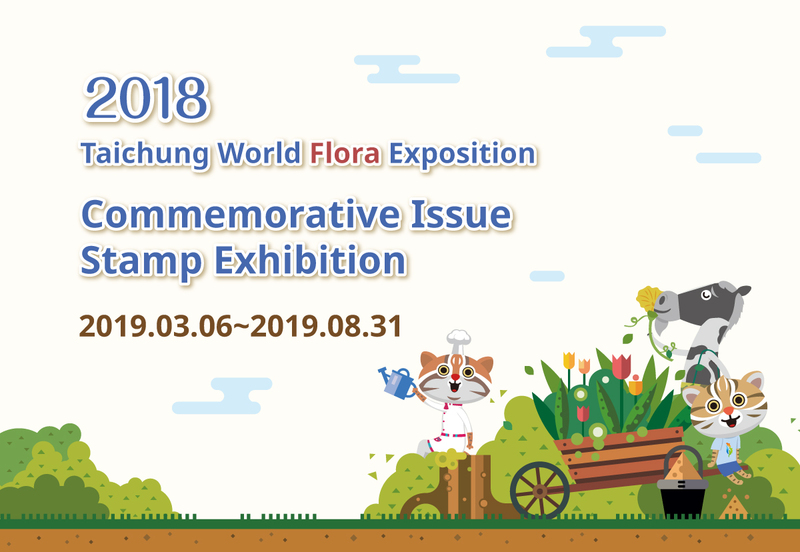 The '2018 Taichung World Flora Exposition' held from November 3, 2018 to April 24, 2019 in Taichung City is a world-class horticultural exhibition officially approved by the Association of Horticultural Producers (AIPH) and held for the 2nd time in Taiwan. Chunghwa Post Co., Ltd. has specially issued relevant theme stamps and held a commemorative Stamp Issue Exhibition at Taoyuan International Airport. The designs of the commemorative stamps on display take the locally-grown flowers in the Taichung area as the themes, including lily, oncidium orchid, gladiolus (sword lily), and anthurium (flamingo flower). These designs are paired with the Floral Expo logo. A close-up flower on the top vividly presents the beauty of flowers, while the flower sea pattern on the pane of the stamps provides a different view for appreciation. Supervisor: Taoyuan International Airport Corporation Ltd., Chunghwa Post Co., Ltd.